China has so much to see and do; most think of the Forbidden City, Great Wall and and the Terracotta Warriors. But there is so much more. It is the sheer size of the place and the energy that leaves a lasting impression on visitors. Home to 1.4 billion people and benefactor of the economic drive of recent years, Its cities are modern and underpinned by the customs & diversity held dearly by the people. Moving away from the cities into the rural areas is a different reality. The scenery changes from lush green rice paddies to the peaks of the Himalayas. China has it share of quirks and contradictions; that’s part of its charm. Located in eastern China, near Shanghai & Hangzhou is the Yellow Mountains. This area wows visitors with its mystical sea of clouds, sun rises, hot springs and uniquely shaped pines & rocks. Yellow Mountain is one of the best known and beautiful mountain ranges in China. Back in 1990 it was listed as a World Heritage Site. These peaks are the most famous and one of three best national parks in China. As one of the iconic symbols of China, the Great Wall of China is a awe-inspiring feat of architecture. Its winds over rugged countryside and steep mountains though some beautiful scenery. 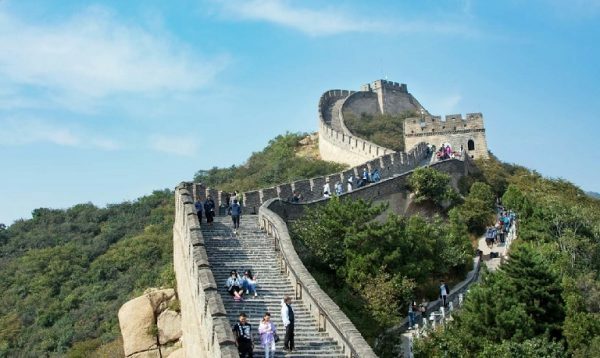 The wall spans from the western frontier to the east coast, extending 3,100 miles; the best preserved sections are found near Beijing. For many travelers, this is one of the first places to visit. Rivaling the popularity of the Egyptian pyramids, the Great Wall is a historical treasure of the Chinese civilization. 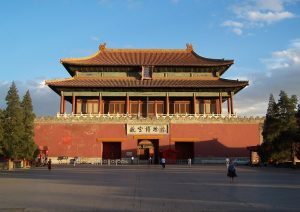 The Forbidden City was the imperial palace starting with the Ming dynasty until the end of the Qing dynasty. Located in the center of Beijing, it now houses the Palace Museum. During its years as the imperial palace it served as the home of emperors and the ceremonial & political center of the Chinese government for close to 500 years. Visitors will view a treasure house of Chinese cultural and historical relics. Along side the Palace of Versailles(France), Buckingham Palace(UK), Kremlin(Russia) and the White House in the USA, the Forbidden City is considered one of the five most important palaces in the world. The Terra Cotta Warriors & Horses are the most significant archeological finds of the twentieth 20th. Work at the site is ongoing; most recently in March of 2015 a well-preserved crossbow was found. Authorization to build the museum was granted in 1975. When it was finished people from around the world came to visit. The Museum of Qin Terra Cotta Warriors and Horses covers 16,300 square meters and is divided into three sections. Life size figures of warriors and horses in battle formations are the stars of this museum. The landscape along this river has captured the hearts and inspired generations of painters & poets to capture the beautiful natural scenery. Now it is a popular photography destination. When travelers want a place of natural beauty, they first think of the Li River. The favorite section of the river is an eighty-three kilometer section between Guilin and Yangshuo. This area is blessed with bamboo groves, startling hills, steep cliffs, and farming villages. 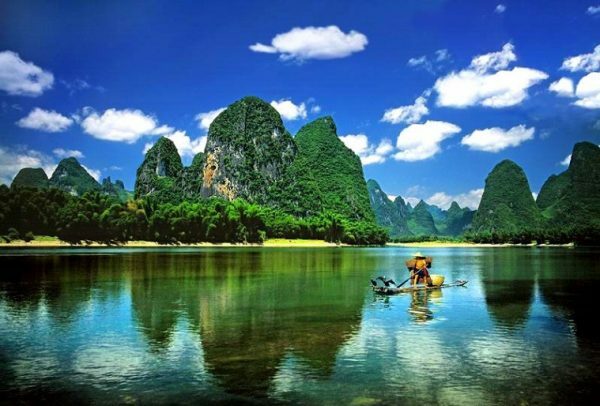 The Li River has been listed as one of the worlds top watery wonders by the National Geographic Magazine. The pandas are not only loved by the Chinese, but by many visitors too. Although there are a number of zoos in China, the best place to see them is in their hometown Chengdu. If you want to get closer there is the Dujiangyan Panda Valley, Bifengxia Panda Base and the Chengdu Panda Breeding and Research Center. Victoria Harbor with its parade of vessels is the lifeline of Hong Kong. So if you enjoy beautiful surroundings, a harbor cruise and/or visit to Victoria Peak is a must . The view of the Harbor from Victoria Peak is the best spot for a glimpse of Hong Kong. From the Peak, both the day and night views are worth seeing. Very interesting article on China, enjoyed reading it. Thanks glad you like the post.